Nettles Stirrups, Hamley twist on fenders. Come sit in this one! 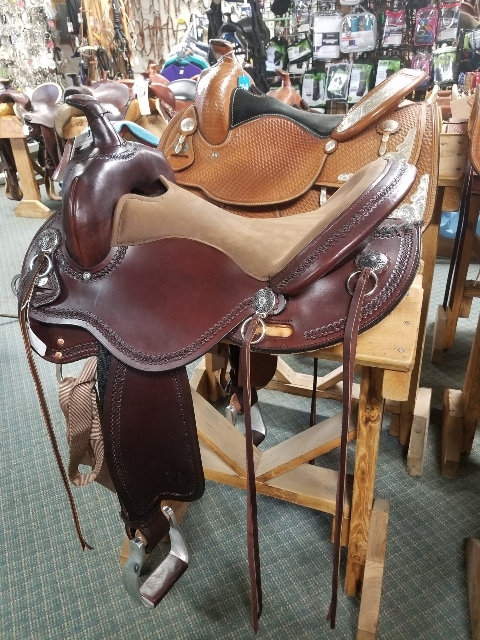 Well made saddle! Border Tooled. Bowman makes many styles! We can help you choose the style that works for you! 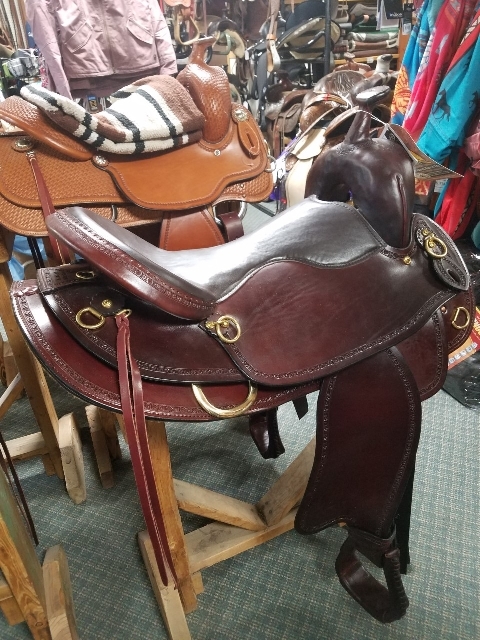 Great price on a well made saddle! Our price is $1500 and $80. off of a new pad! Sounds like an Annie deal! Basket stamped. 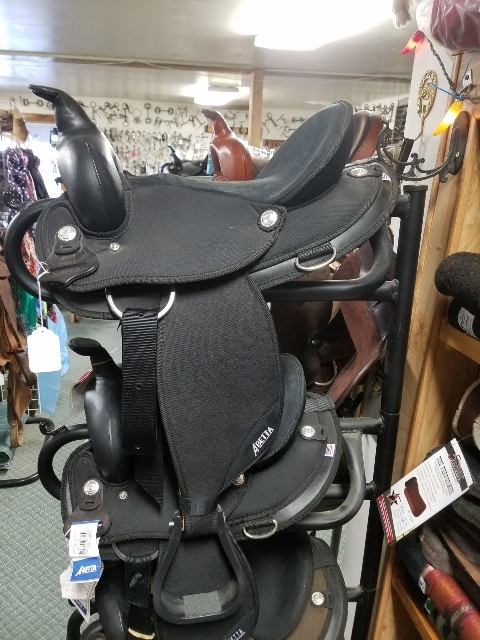 Quarter horse bar, Equifit tree- fits medium to wide horses. Great leg movement! 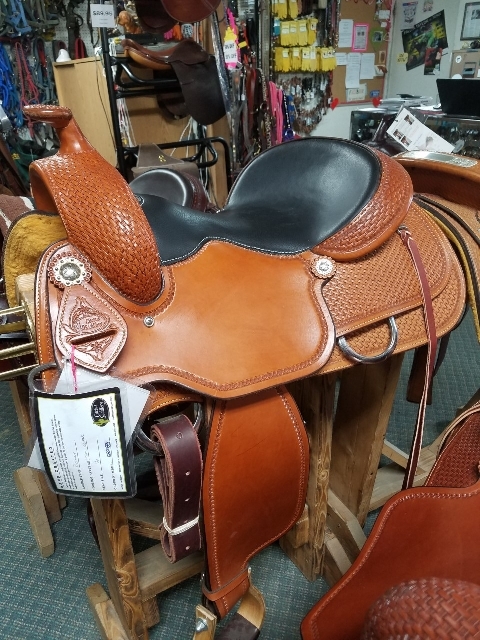 We have several sizes of this synthetic saddle on medium and wide trees! 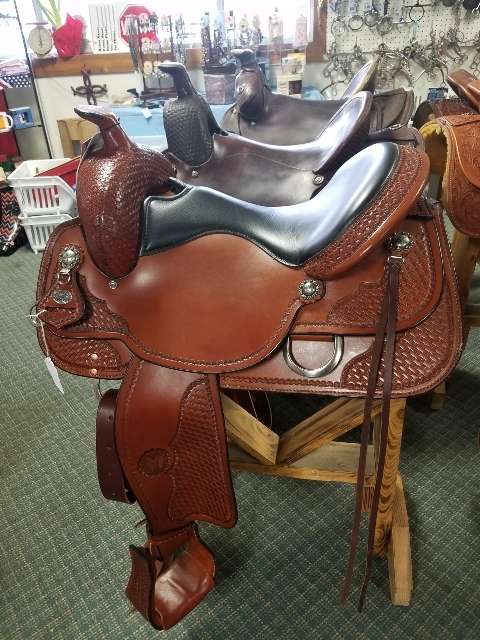 We try to keep this style in in sizes 13" - 17". Circle Y Gillette- In stock now in a 17". Other sizes on the way. 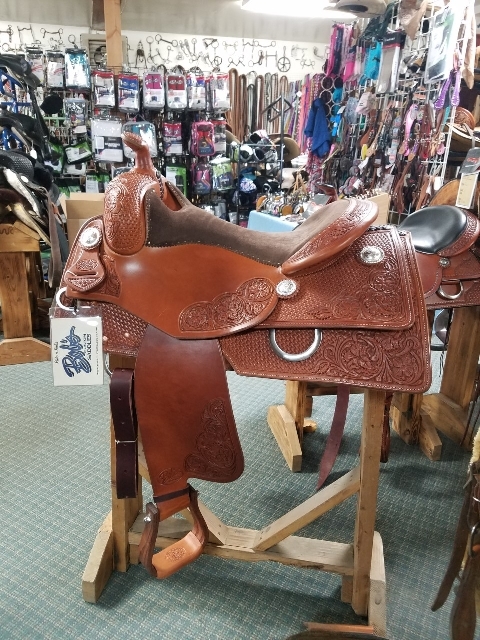 This is a great fitting saddle on a wide tree. Very comfortable double padded seat. Short, close contact skirt works well on short backed horses! Border tooled. Full Quarter Bar. Border tooled. Padded seat. 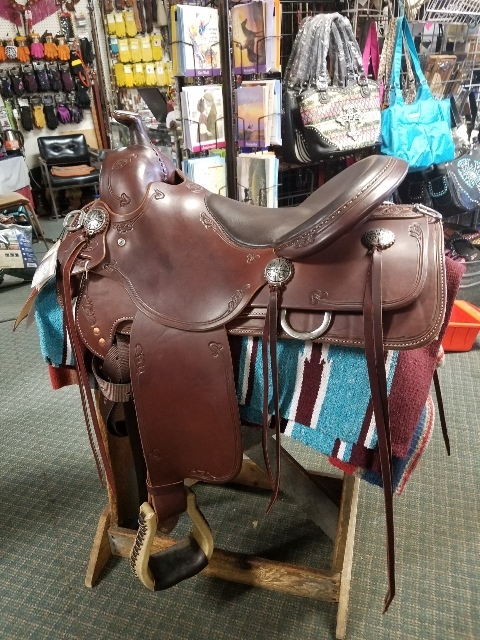 Great arena or trail saddle. Sit in this one! So nice. 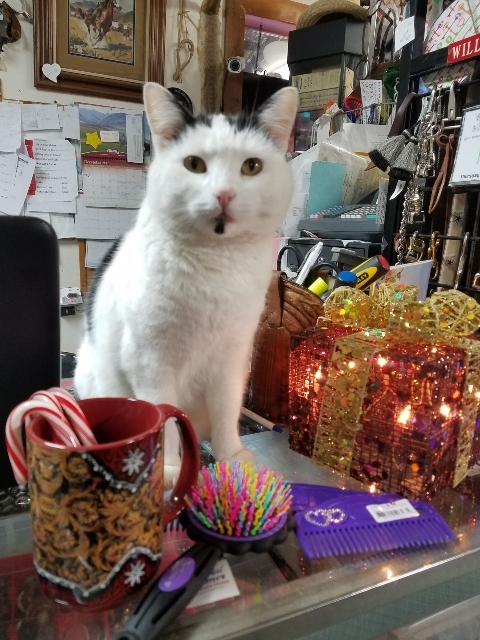 Princess Shades is manning the counter.